Finding a solution to nerve pain isn’t easy. In fact, many people will begin to stray away from conventional pain management methods and will begin looking into alternative medicines for pain management. Especially as a person grows older, there is less reason to continue harsh medication and all the more reason to start taking natural and alternative medicines that can ease pain without any of the nasty side effects that most conventional medicines bring. Do Herbal Remedies Work for Nerve Pain? Does Skullcap Work for Nerve Pain? Final Thoughts: Should You Use Skullcap For Neuropathy? With that being said, alternative medicines open up a whole new world of things to try and work with to see if the nerve pain that a person suffers from becomes any more bearable. For instance, there are a variety of herbs that have been proven to alleviate nerve pain to some extent. Out of all the herbal remedies that people try, there is one that stands out for nerve pain: skullcap. Skullcap has proven itself as one of the most versatile types of herbal remedies that there is. From helping with anxiety to making nerve pain a little less difficult, there’s a lot that skullcap can do. However, before a person incorporates anything new into his or her lifestyle, especially when it comes to ingesting herbal remedies, it is crucial to have a firm understanding on what exactly the herb is. In this case, it is important to know what exactly skullcap is. Skullcap can refer to one of two different plants: Chinese skullcap and American skullcap. It is important not to get these mixed up as they treat different symptoms. Chinese skullcap (Scutellaria baicalensis) is rooted in Chinese herbal medicine, as one might be able to imagine. Typically, it was used to treat allergies, infections, inflammation, headaches, and cancer. In some cases, people believe that Chinese skullcap has antifungal and antiviral effects. In addition to this, some people also believe that Chinese skullcap can reduce hypertension, although studies were only done on animals and it is not known if this happens in humans as well. On the other hand, American skullcap (Scutellaria lateriflora) is native to North American but is typically cultivated in Europe. 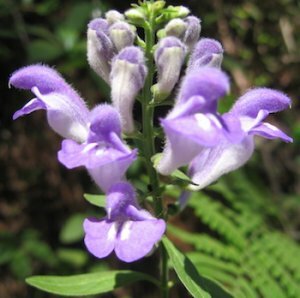 For the past 200 years, American skullcap has been used as a relaxant and as a solution for issues such as anxiety, tension, and convulsions. On top of this, American skullcap has been shown to have good antioxidant effects, which will help with a variety of disorders ranging from Alzheimer’s disease to Parkinson’s disease. Some people believe that in addition to these diseases, American skullcap can remedy some types of nerve pain. Some people would also argue that American skullcap can inhibit a food-allergic response. Today, American skullcap is generally used in a combination of other herbal remedies as a calming solution. Because Chinese skullcap and American skullcap are so vastly different, it is crucial that a person does not mix the two of them up. In fact, even the way that these herbs are prepared is different. American skullcap is generally collected from the leaves of the plant and it is harvested at a specific time and age. Chinese skullcap is harvested from the root of the plant. Both of the skullcaps can come in a powdered form and American skullcap can also come in a liquid extract. Of course, a person should always consult a healthcare physician before taking any sort of herbal supplement; however, if a person is looking for a solution to nerve pain, American skullcap is generally the first thing to look for. With that in mind, some people also find that Chinese skullcap gets the job done, which can be helpful if American skullcap is difficult to come by. After all, Chinese skullcap is one of the most common Oriental medicinal herbs around, which is one reason why the majority of studies that involve skullcap usually focus on Chinese skullcap. Before taking anything new, it is also important to note whether or not a substance is safe to use. For instance, some types of herbs have been shown to cause liver damage. Thankfully, American skullcap is generally not dangerous. Typically, American skullcap does not cause liver damage and in the very few instances that it does, it’s usually mild to moderate and will resolve quickly once a person has stopped taking it. This is good for people who are searching for a remedy to nerve pain as this means that American skullcap is a safe herb to use. There are a few things to note about taking American skullcap, though. Because it is believed to have flavonoid compounds that act as gamma amino butyric acid agonists, which are similar to benzodiazepines, a person should not take American skullcap if he or she is taking a type of sedative, especially a benzodiazepine. Another thing to note is that American skullcap has been contaminated with germander in the past, which can cause liver problems. To ensure that the skullcap is doing more good for nerve pain than harm, it is imperative that a person makes sure that the skullcap is obtained from a reliable source. Nobody wants to worsen his or her symptoms because his or her American skullcap was contaminated. It is also important to pay attention to the recommended dose of American skullcap as high doses can lead to giddiness, stupors, confusion, irregular heartbeat, and seizures. None of these are good for nerve pain. Chinese skullcap can end up lowering blood sugar levels, which is dangerous for people who have diabetes. This can lead to hypoglycemia, which isn’t good for anyone. Chinese skullcap shouldn’t be used by people who also have issues with the stomach and the spleen as well as that can cause some serious issues. Aside from these precautions, Chinese skullcap is also a safe herbal remedy to try. However, it is important to keep in mind that Chinese skullcap is usually mixed and combined with other herbs so keep an eye on what other herbs are in the mixture and follow dosing recommendations as per the label to avoid complications. One of the questions that many people have before starting herbal remedies is if they really work for nerve pain or if they are really just a placebo. With that being said, there have been quite a few studies that look into whether or not herbal remedies really work for nerve pain or not. Some studies have better outcomes than others, though, which can make it difficult to get a good idea. For instance, one study claims that only about a quarter of patients who tried complementary and alternative medicines (CAM) found improvement in their symptoms of neuropathy. With that in mind, though, nearly half of the patients who tried CAM didn’t work with a physician, which might be why these patients didn’t feel that CAM was the right solution. After all, it is hard to work out a proper remedy if a person does not talk to his or her physician for help. However, another study focused specifically on the effects of medicinal herbs on chemotherapy-induced neuropathy. In this study, a large variety of herbs, including Chinese skullcap, were used to manage both the neuroprotection of the nerve and the neuropathic pain that a person might experience. In the group that tried the concoction of herbs, including Chinese skullcap, the incidence of nerve damage was “almost half as high” compared to those who didn’t try the herbal remedies. This shows that Chinese skullcap might be able to protect and mitigate the effects of nerve pain under certain circumstances. Thankfully, there are some more studies that delve into the idea of whether or not skullcap works for pain. In one study, people studied what the effects of Chinese skullcap are and how it can potentially help with managing pain. In this study, there was more focus on the anti-inflammatory effects of Chinese skullcap than anything else. Compared to a typical anti-inflammatory medicine such as naproxen sodium, Chinese skullcap performed at the same level as naproxen sodium, making it a suitable alternative for anti-inflammatory needs without making a person ingest medicines. Instead, by using Chinese skullcap, a person can find pain relief through natural and herbal remedies. While this isn’t American skullcap, this does go to show that if a person is struggling with inflammation that comorbidly exists with nerve pain, then skullcap might be the best option. 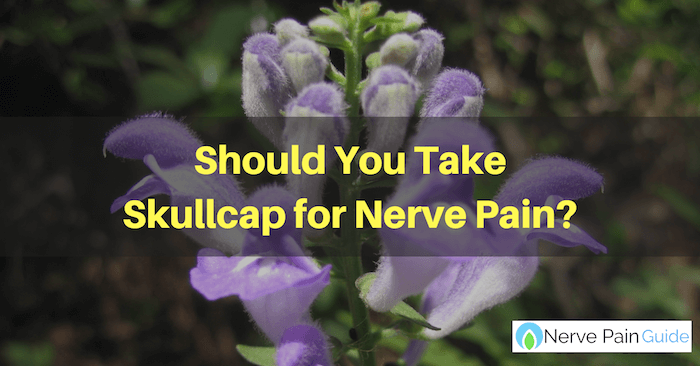 Should You Use Skullcap For Neuropathy? More often than not, people who suffer from chronic pain will turn to herbal, alternative, and/or natural remedies as a solution. 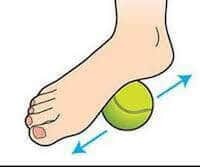 When a person has reached that point, the focus becomes more about managing the symptoms of nerve pain without causing more trouble rather than taking medication that can have harsh side effects. Looking at herbal remedies through such a lens, it becomes clear that skullcap, either Chinese or American, is a perfectly viable solution. Not only has it been proven through studies that herbal remedies can help with nerve pain but it has also been proven that herbal remedies that include skullcap have positive outcomes for patients. On top of this, skullcap is a relatively safe herb to try with minimal side effects, if any at all. When a person is searching for a solution for nerve pain that won’t make life more difficult, herbal remedies such as skullcap can prove themselves to be a good way to manage nerve pain. There are many places to buy skullcap for the purpose of relieving nerve pain like Amazon or iHerb. This is a good option for people on a limited budget. However, to get the maximum relief it is suggested to consume it along with other vitamins and herbs proven to help nerve pain. 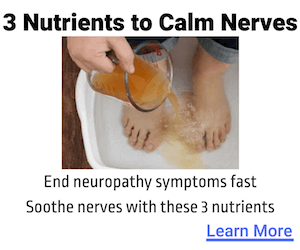 Although many custom formulated supplements for neuropathy contain this vital herb, Nerve Renew is by far the most well respected product on the market.